Synopsis: Feyre is a huntress. 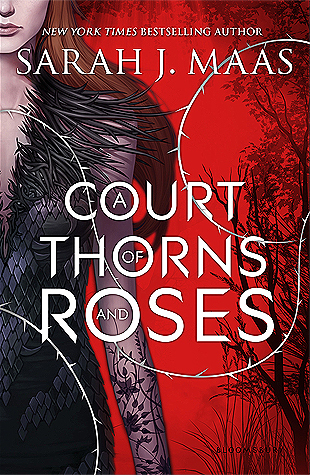 Imprisoned in an enchanted court in her enemy’s kingdom, Feyre is free to roam but forbidden to escape. Her captor’s body bears the scars of fighting, and his face is always masked – but his piercing stare draws her ever closer. As Feyre’s feeling for Tamlin begin to burn through every warning she’s been told about his kind, an ancient, wicked shadow grows. Wow. I honestly don’t know how to get my words out about this book. I’m shocked, overwhelmed and emotional right now. I don’t think my heart has leapt back from my throat yet. The plot…is full of emotion and very captivating. Although I anticipated every twist and turn, I could never guess what exactly was going to happen. The book evolved so much in only a page, a second in time and your entire thoughts about the story could change completely. The characters…were perfect for the story. I adored Feyre, her strong will and undying love for what she believed in. She is so brave in a world she knows so little about. The only negative I can say about the characters, is I admit I did get a little mixed up with Tamlin and Lucien at first. But, obvious to those who have read this book, that confusion quickly went away. The writing…is incredible. Poetic and full of life, it really brings the story into your head and ensures you simply cannot let go. Something I liked…the characters and more specifically, the emotion. I spent the last 20-30 pages clogged up with tears ready to spill at any slight move in the plot. My throat felt hoarse afterwards from holding that emotion in, my head pounding from the shock of certain events. Something I disliked…to be very harsh, I found parts of this book a little…patchy. Patchy being the only word I can find to describe it, although I am likely over-exaggerating. But I did find this book would flit a lot – between tense stories and more relaxed filler pages, heavy emotion and gentle thoughts, action between fighters and action between lovers. The plot would be fast-paced and specific, but then loose and a little…flat. Because of this, there were times when I found it easy to be involved in the story and would think about it non-stop, and other times when I could leave the book for hours without having a single thought about reading it. Basically, the book didn’t flow perfectly and could be described as a little ‘bumpy’. Although I’m hoping to read A Court of Mist and Fury soon, it probably won’t be until next month due to money issues as usual!